This Chrysler 300 delivers a Regular Unleaded V-6 3.6 L/220 engine powering this Automatic transmission. ENGINE: 3.6L PENTASTAR VVT V6 (STD), WHEELS: 19 X 7.5 HYPER BLACK ALUMINUM (STD), TRANSMISSION: 8-SPEED TORQUEFLITE AUTOMATIC (STD). *This Chrysler 300 Features the Following Options *QUICK ORDER PACKAGE 22G -inc: Engine: 3.6L Pentastar VVT V6, Transmission: 8-Speed TorqueFlite Automatic , GLOSS BLACK, BLACK/BLACK, NAPPA LEATHER-FACED SPORT SEATS, Window Grid Antenna, Voice Recorder, Vinyl Door Trim Insert, Valet Function, USB Mobile Projection, Trunk Rear Cargo Access, Trip Computer. 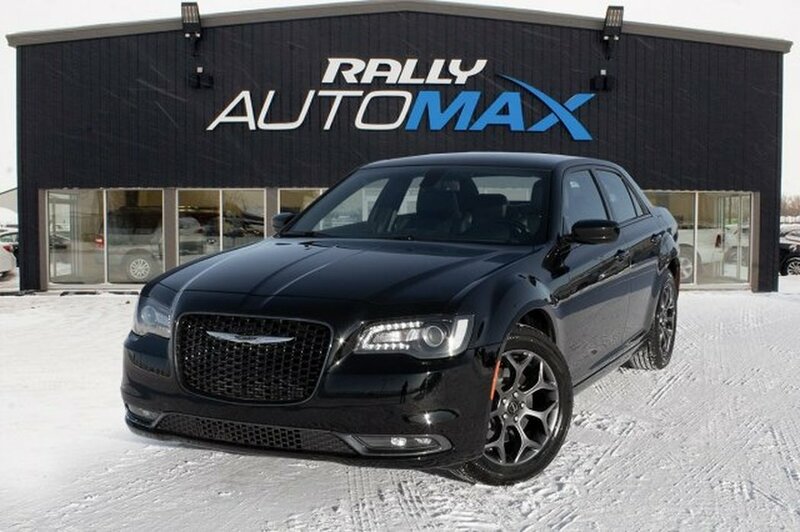 *Stop By Today *For a must-own Chrysler 300 come see us at Rally Auto Max, 235 38th St East, Prince Albert, SK S6W 1A5. Just minutes away!